What I Love: I was so excited when fellow Luxe Lounge lady and product-loving fiend (I mean friend! ), Jacqui, surprised me with a bottle of this lovely smelling facial toner. 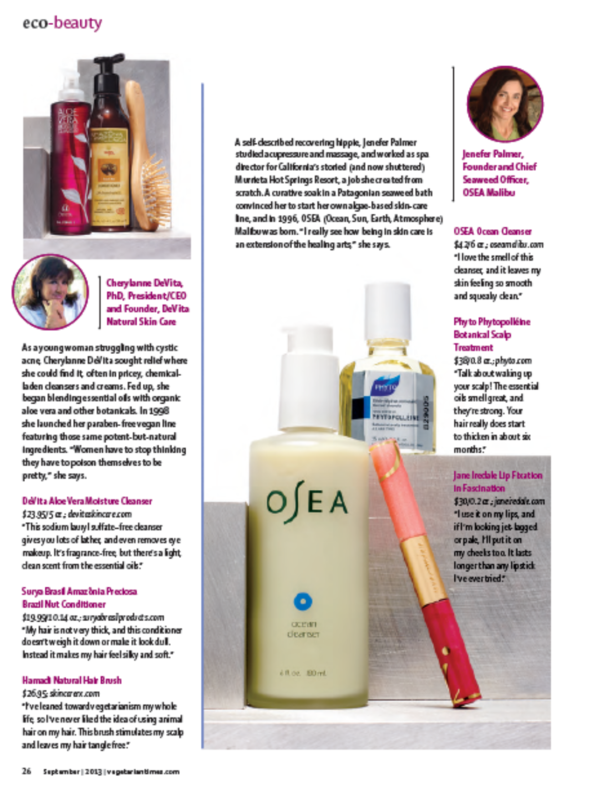 I'm not sure whether Jacqui knew it or not, but I'd been wanting to try DeVita products ever since interviewing the company founder, Cherylanne DeVita, for a beauty feature a couple of years back. I loved her personal story, and am always stoked to discover a company that reflects my cruelty-free vegan values. My favorite way to use this product is to give my face a few spritzes of this stuff after applying my makeup. It instantly imparts a youthful, post-work out kind of glow. If you're a fan of the dewy look, you'll likely love it, too. It smells of roses and the bottle is made from a heavy, solid glass. Quality all around!